MUMBAI: Ranbir and Alia are grabbing the headlines these days for their alleged relationship. Rumours of the couple dating have been doing the rounds for quite some time now. Ranbir and Alia have come together for the first time in Ayan Mukerji's Brahmastra. The film also stars Amitabh Bachchan in the lead role. The actors have been shooting for the movie since a year and had kick-started their first schedule last year in Bulgaria. They finished their Bulgaria schedule this September. The Brahmastra team has been currently shooting for the film in Mumbai. 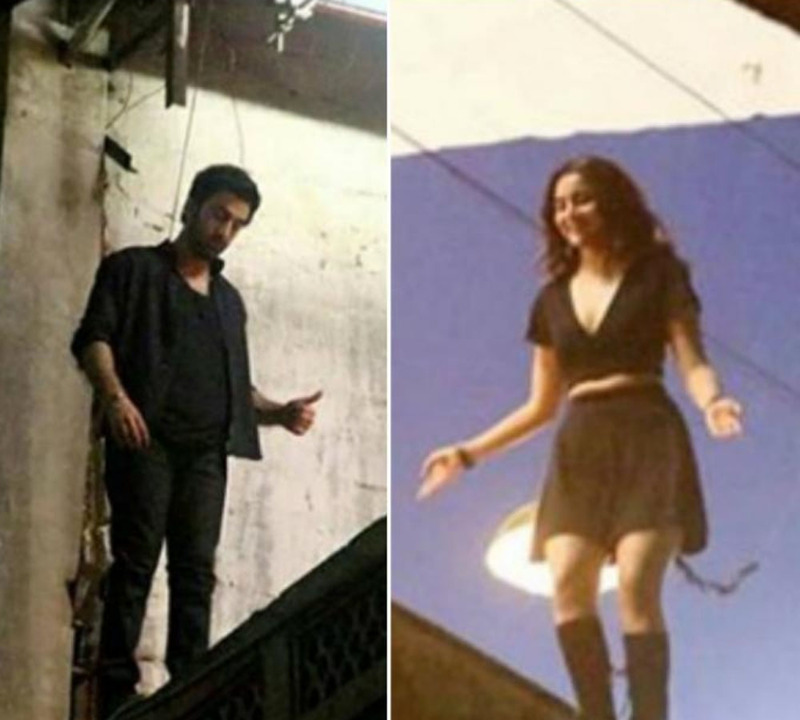 Today, there are some new photos of Ranbir and Alia from the sets. Both the actors are dressed in black and staring at a bridge. It looks like they are shooting for some action scene. Television actress Mouni Roy will be essaying a negative role in the film. Brahmastra is a three-part series, and the first part will hit the screens during Christmas 2019.